It’s important to remember the saying from Avot D’Rabi Natan: “tafasta meruba lo tafasta; tafasta mi’ut, tafasta.” This means that when a person tries to overdo it, they often end up accomplishing nothing. We’re better off taking on a small resolution that is realistic for us to be able to maintain. While it’s tempting to try to tackle the areas that we struggle with the most, this can be counterproductive. It’s more constructive to choose an area that is slightly less challenging for us, in order to ensure that we will be able to keep our resolution for the entire upcoming year. Learn daily from a book which explains the concepts and meaning of the daily prayers. Pray to be successful in prayer. The Yetzer Hara (evil inclination) is very powerful, so we need G-d’s assistance to overcome it. Keep in mind that the Yetzer Hara is very tricky. He’ll try to get us, specifically in the area of our resolution, because that’s the way G-d designed the system. This knowledge will help us move forward, even if we slip up a little, and continue to keep our resolution. The idea behind selecting to work on an area that is not overly challenging for us is based on the idea that the Yetzer Hara won’t try to fight us, once we are firmly in the habit of succeeding in a particular area. If we resolve to strengthen an area, where it is likely that we will succeed, we will have added another area that the Yetzer Hara will choose not to fight. It’s an excellent idea to take on a resolution together with a group of people. This way, everyone can share ideas about how to make it work. Also, people feel more of an obligation to keep a resolution when they accepted it as part of a group. Writing can be a very helpful in maintaining a resolution. Write down daily whether or not you have been successful in your resolution, and any ideas you have for the future. It’s also a good idea to write reminders to yourself about your resolution, and put them in a place where you will see them. Eating: eat food with reliable kosher supervision; separate milk and meat; make proper blessings before and after eating; make blessings aloud. 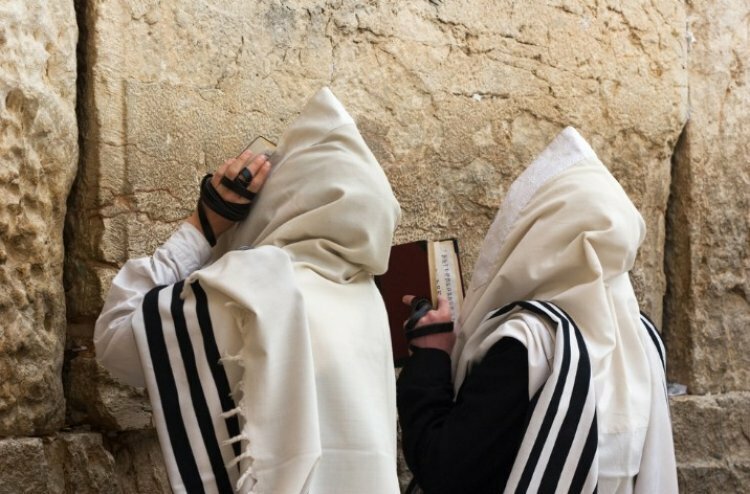 Jewish Ethics: Learn one of the classic “mussar” texts, such as Mesilat Yesharim (Path of the Just) or Orchot Tzadikim (Way of the Righteous). Make an effort to learn a thought, or a few lines every day. Traits: Focus on one particular character trait, such as telling the truth, acting with kindness, gratitude, alacrity, unity, respecting others, loving others, patience, humility, modesty. To do this most effectively, select one small component of this trait. For example, if you choose patience, once a day, if someone cuts you off while driving, when there’s traffic, or when someone is acting in an annoying way, respond patiently. Then the challenge will be transformed into an opportunity for development of this positive trait.